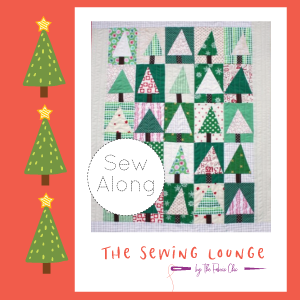 Using the tutorial from "Diary of a Quilter" we will be making these Holiday Trees for a quilt or wall hanging. These little trees are addictive & fun. You can use up scraps or choose a color palette of 4-5 colors. ***FOR EXTRA FUN- PLEASE BRING ALONG THREE 12' BLOCKS TO SWAP! ***For more prep information, Please refer to the tutorial online, & stop by the shop to see our sample quilt. You will be provided with a PRINTED copy of the shorter version of the tutorial in class. ***RULERS THAT ARE HANDY FOR THIS PROJECT: 4-5 x12" and 9.5 inch square. The Fabric Chic will provide coffee, hot cocoa, & cookies - just bring your Sewing Machine, fabric & some holiday cheer! By registering for a class, you acknowledge and agree to these policies.